Miss Universe just schooled one of the judges for tonight’s pageant … telling her it looks really bad that she’s only following Latina contestants on social media. 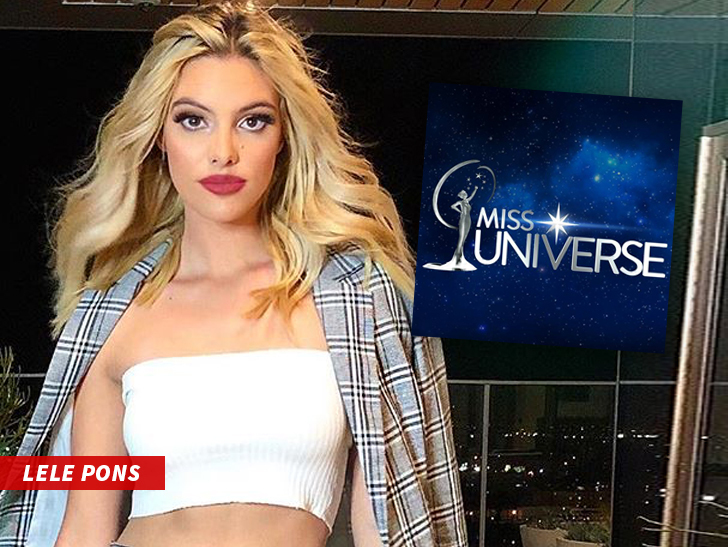 Pageant sources tell us Judge Lele Pons has been told it compromises the competition that she’s only following Miss Mexico, Miss Venezuela and Miss Colombia … making it appear they have an advantage. We’re told the officials told Lele to unfollow them STAT. Our sources say Lele fired back she doesn’t think she did anything wrong … she’s a Latina and that’s just who she follows. Lele has just unfollowed the women.